3. What can I view online? 5. What does The National Archives have in its collection? This guide covers records related to art and artists for the 19th, 20th and 21st centuries. It focuses on how to find central government records held by The National Archives but also lists other useful archives. Archival records are arranged according to the department that created them rather than by subject. Some art related records are held in discrete collections but others are scattered among a variety of written records and many may be undiscovered. Record descriptions won’t always indicate the presence of art related material so you will need to be prepared for a degree of speculative searching and detective work. If you find art related records (particularly original artworks) in our collection that you think we are unaware of use the feedback form in our catalogue to let us know. You can find this at the bottom of any catalogue description at record series reference, piece or item level. The Government Web Archive contains government videos, tweets, and websites dating from 1996 to present. You can browse or search for specific websites or twitter accounts such as those for Tate, Heritage Lottery Fund or particular government departments. Alternatively you can search by a keyword, such as ‘exhibition’ or an artist’s name, such as ‘Tracey Emin’. Another way to find information on the Web Archive is to start in our catalogue. The records of the Department of Culture, Media and Sport and the British Council are good sources of information about cultural matters, but other departments can also have useful records as explained in other sections of this guide. Where you find websites, videos or tweets that are available on the web archive there will be a link to click through to the relevant listings. Like other records in our collection, those relating to art and artists have been created or inherited by government departments, agencies and courts of law as part of their everyday business. Those that were selected for permanent preservation became part of The National Archives’ collection. In general, records relating to artists and artworks at The National Archives appear where an artist was working for the government; either directly or through an agency. Examples of this include where government departments worked with artists on exhibitions or publicity and propaganda material. 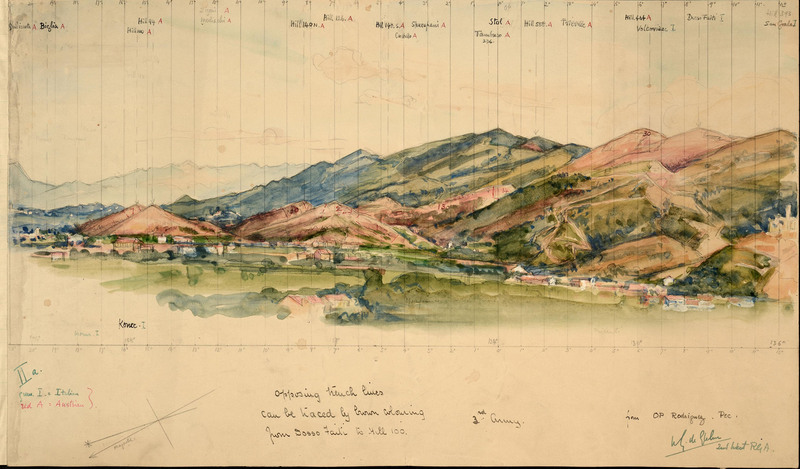 There are also non-commissioned artworks in the collection, such as sketches within war diaries or Colonial Office records. In these cases, the artist is not always attributed. The National Archives also holds records relating to the establishment of many national museums and art galleries as well as various public bodies which have been set up to watch over art education and the export of works of art. You can sometimes find references to records held in The National Archives within published works. If you are able to visit us you can use our reference library. Search Discovery, our catalogue, to find records from The National Archives and over 2,500 archives across the UK. If you only want to search records held in our own collection you can select ‘Held by The National Archives’ below the main search box. Bear in mind that the names of artists and art works can be listed in various ways. Try not to restrict your results by entering too much detail at the start. For example, a search (within The National Archives collections only) for ‘Cuneo‘ gets 66 results; ‘Terence Cuneo‘ gets 40 and Terence Tenison Cuneo gets 35. Artists’ names are not always included in catalogue descriptions, so it is worth searching by an artwork’s name or by the exhibition it featured in as well. Read the relevant sections below to help you identify document references that you can use when searching. The search results page allows you to filter your results in various ways. If you select the filter ‘Held by The National Archives’ at any point, you will see other filters become available such as collection and subject. You can also apply filters such as record series and department code at the start of your search by using the Advanced search option of our catalogue. On the Advanced search page, you can use taxonomy subjects to refine your searches. If you enter a key word in the ‘find these words’ section; then select search The National Archives in the ‘Held by’ section you will open up ‘taxonomy subjects’. Select ‘Art, architecture and design’ and then search. For more advice on searching effectively, see Discovery help. Records are arranged in a hierarchy of departments, series, sub-series pieces and items. Sometimes you will need to look at the descriptions at various levels of the hierarchy to understand more about who created a record, why they created it and what it might contain. More guidance on how to use our catalogue, see Discovery help. The Festival of Britain records in WORK 25 contain original graphic designs by Abram Games and others that were submitted for the festival itself as well as for publicity. 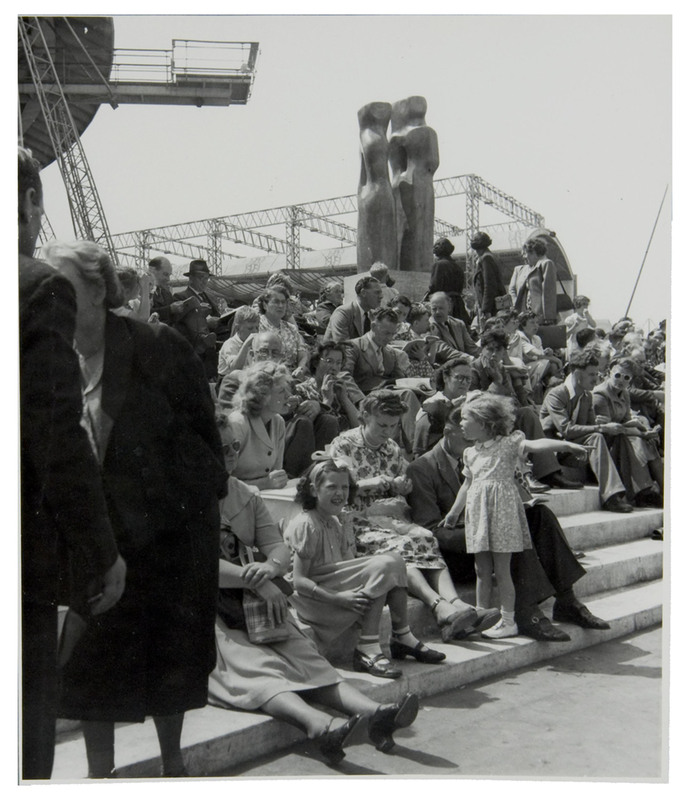 There is also an extensive collection of photographs of the exhibits at the Southbank site, Battersea (Festival Pleasure Gardens) and elsewhere. A small selection of digital images from WORK 25 are available in our Image Library. The records include correspondence and minutes of the Festival Council, plans and drawings, printed matter and copyright documents. Other archives may hold records of the festival that complement our own. You might find records relating to international artists, or exhibitions of British artists held abroad, within Foreign Office files; and where government worked with other organisations, you could find records in local and business archives. If the government took an interest in an artist or their work there might be mention of it in official records. For example, artists who were suspected communist sympathisers were monitored by the secret service. Search record series KV2 for surviving personal files. You can search for a specific artist; or try a general search for ‘artist’ and browse the results. For instance, a search for Julian Trevelyan finds two files; KV 2/3931 and KV 2/3932. For more information on these records, see our guide on Intelligence and security services. To protect their work under copyright legislation, artists would submit a registration form to Stationers’ Hall in London. Photographs or sketches of the work being registered were attached to the forms which are now held at The National Archives in record series COPY 1. Our research guide Copyright records of the Stationers’ Hall explains more about these records. Sometimes a copyright proprietor registered a photograph of an artwork rather than the artwork itself. For example, William Francis Mansell registered copyright for his photograph of Rembrandt’s painting of Jean Pellicorne with His Son Caspar (COPY 1/456/86). Original paintings and drawings were produced for propaganda and publicity purposes during the Second World War. Search the Ministry of Information records in series INF 3 by name of artist or title of artwork. Some of these records are available in our online exhibition, The Art of War. Some of the publications in which the art work was reproduced are in record series INF 2. A selection of posters, booklets, leaflets and promotional material produced by the Ministry of Information, and later Central Office of Information, are in INF 13. Artists were sometimes commissioned to create public artworks and publicity material for public transport bodies. You can find information relating to these commissions in records from the British Transport Commission and British Railways Board (department code AN) and in transport periodicals (department code ZPER). Use the Advanced search option in our catalogue and enter AN and/or ZPER in the box for ‘search for or within references’. In the ‘Find words’ box you can enter ‘sculpture’ or ‘art’ and so on. Alternatively you can search using an artist’s name such as Cuneo or Gill. Search our catalogue for “government art collection” to find associated records from various archives. Those from The National Archives are mostly within department code WORK and particularly in record series WORK 54. The Government web archive contains snapshots of the Government Art Collection website (see section 4 for more information about the Government Web Archive). Every area of government action involved the Treasury department at some stage. This would include organisation of exhibitions and commissioning of public artworks. For advice on using Treasury records in your research consult our research guides on Treasury Board letters and papers 1557-1920 and Economic history in the 20th century. For records after 1920, you can use the Advanced search option in our catalogue and search by keyword within reference T (the department code for Treasury). Correspondence from Foreign Office officials in the UK to their counterparts overseas could cover all sorts of things, including cultural matters. Try searching these records for information about British artists’ exhibitions or visits abroad, as well as foreign artists’ exhibitions in the UK. See our guides to Foreign Office correspondence 1906-1919 and Foreign Office and Foreign and Commonwealth Office correspondence 1920 onwards for a more detailed explanation of how to search these records. These repositories and institutions listed below hold major collections relating to the history of art and artists. The British Library holds papers of many of Britain’s foremost artists including William Blake, John Flaxman, William Hogarth, Thomas Gainsborough, William Morris and J M W Turner. The British Library catalogue for manuscript collections is available online. Bankside Gallery holds the archives of the Royal Society of Painters in Watercolour, founded in 1804, and those of the Royal Society of Painter-Etchers and Engravers. The British Cartoon Archive is dedicated to the history of British cartooning over the last two hundred years. The BCA holds the artwork for more than 150,000 British editorial, socio-political, and pocket cartoons, supported by large collections of comic strips, newspaper cuttings, books and magazines. Courtauld Institute of Art The Courtauld Institute’s Book Library holds manuscript collections including the papers of a variety of collectors and patrons, researchers and artists. Many of these were donated to the Institute. Information on the Book Library and manuscript collections is available from the website. Federation of British Artists holds the records of its constituent societies: the Hesketh Hubbard Society, the New English Art Club, the Pastel Society, the Royal Institute of Painters in Watercolours, the Royal Society of British Artists, the Royal Society of Marine Artists, the Royal Society of Portrait Painters and the Society of Wildlife Artists. Fitzwilliam Museum Collections of the Department of Manuscripts and Printed Books include: manuscripts of Sir Joshua Reynold’s Adaptation of Talents; and William Morris’s The Earthly Paradise; correspondence and literary papers of John Flaxman; correspondence and papers of Sir Edward Burne-Jones and George Romney; literary manuscripts of William Blake and correspondence and papers of many other artists. Glasgow School of Art Archives are an excellent resource for art, design, architecture, art education and development of these disciplines along with the many influential people who have taught and studied there. The Archives include the School’s institutional records and a number of archive collections deposited by former staff, students and related organisations. Information on the collections is available online. Henry Moore Institute The Henry Moore Institute houses and maintains the Leeds Museums & Galleries archive of sculptors’ papers including Henry Moore. Covering the 18th century to the present day, it has a particular emphasis on the 20th century and contains a diverse range of papers relating to British sculptural practice. Information on the collections is available online. Kettle’s Yard Museum and Art Gallery holds the correspondence between Jim Ede, the founder of the gallery, and contemporary artists. It hosts ‘Recollection’, an expanding oral history archive that reflects how people of all ages think and feel about Kettle’s Yard. Leighton House Museum The former home and studio of the leading Victorian artist, Frederic, Lord Leighton, is now a museum holding his papers, including correspondence with family and friends. National Gallery Libraries and Archive The collection includes papers connected with the history of the picture collection and official records of the Gallery. Scottish National Gallery Research Library The Gallery maintains research files on all items in its collections of pictures, drawings and sculptures. Information on collections held in the National Gallery of Scotland Library is available online. National Library of Scotland, Manuscript Collections Among the extensive personal collections held by the Library, there are papers of numerous artists, painters and sculptors. The information about the manuscript collections held by the National Library of Scotland is online. 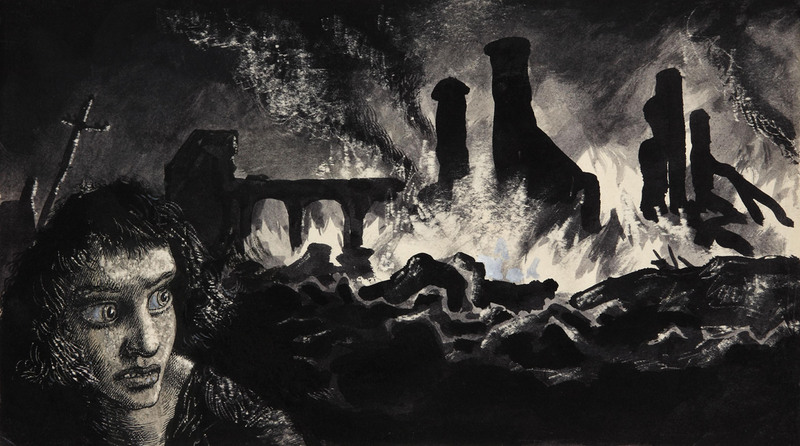 National Library of Wales holds several important collections of papers of artists relating to Wales, including Augustus John, Gwen John, Lord Leighton, Ceri Richards and Sir Edward Burne-Jones. National Museum of Wales maintains files on artists represented in the collections of the Museum. National Portrait Gallery Archive is concerned with the history of the Gallery and the history of British portraiture. Amongst the collections are papers of Thomas Phillips, Sir John Everett Millais and George Romney. Information on the papers is available online. Royal Academy of Arts The Library, established in 1771, holds the archives of the Academy as well as a collection of Summer Exhibition catalogues, the records of the Society of Artists 1759-1807 and the papers of various past members of the Academy. This includes the papers of Sir Thomas Lawrence, sitters’ books of Angelica Kauffmann and Sir Joshua Reynolds and papers of Thomas Gainsborough, Alma-Tadema, Lord Leighton and Walter Sickert. Information on the collections is available online. Royal Society for the Encouragement of Arts, Manufactures and Commerce also referred to as the Society of Arts and the Royal Society of Arts (from 1908), holds the Society’s records from its foundation in 1754, including minutes and correspondence, original design material and donated papers of members. There is a catalogue available online. Ruskin Library holds correspondence, literary manuscripts and family papers of John Ruskin, together with many items of Ruskin’s correspondence with prominent figures in the Victorian art world. Information on the collections is available online. Scottish National Gallery of Modern Art holds personal papers of a number of modern Scottish artists. Information on the collections is available online. Scottish National Portrait Gallery holds a small collection of personal papers relating to Scottish portrait painters and maintains a reference archive of portrait works held in private collections and research files on items its collections. Information on the collections is available online. Tate Gallery Archive holds the national archive of 20th century British art. Major collections include the papers of William Holman Hunt, Paul Nash, David Bomberg, Stanley Spencer, Alfred Turner, John Piper, Ben Nicholson and the art historian, Lord Clarke. Other major figures from the British art world represented are Sir Jacob Epstein, Dame Barbara Hepworth, John Minton, Sir Eduardo Paolozzi and Walter Sickert. Interviews with artists, press cuttings and photographs of artists are also held. Information on the collections and a catalogue are available online. Victoria and Albert Museum, Archive of Art and Design The Archive of Art and Design was set up in 1978 to hold papers which would formerly have been collected by curatorial departments of the Victoria and Albert Museum. The collections have a particular emphasis on the 20th century. Major collections include papers of the publisher Benhard Baer, his correspondence with Lowry, Ben Nicholson, Graham Sutherland, Henry Moore and other British artists and sculptors. The Archive of Art and Design also holds the records of the Arts Council of Great Britain. The Victoria and Albert Museum’s own archive is also located here. Victoria and Albert Museum, National Art Library, the largest art library in the world, it holds documentary material concerning the fine and decorative arts of many countries and periods. It is also the curatorial department for the art, craft and design of the book. Amongst the manuscript collections are papers of Sir Edwin Landseer, Thomas Gainsborough, Sir Thomas Lawrence, Dante Gabriel Rossetti and Graham Sutherland as well as many other artists, writers, curators and art critics, societies and dealers. Information on the collections and a catalogue are available online. Wallace Collection Extensive archives relating to the art and object collections were built up by the Marquesses of Hertford in the 19th century and bequeathed to the nation by Lady Wallace, including a large number of 18th and 19th century sales catalogues, records of founders and trustees. Information on material held by the Wallace Collection is available online. In addition administrative records of the Wallace Collection are held by The National Archives. William Morris Gallery William Morris lived in this house from 1848-1856. It now holds a permanent collection illustrating his life, achievements and influence. Archival collections include correspondence and writings of William Morris and his associates, such as Arthur Mackmurdo and Frank Brangwyn. Many collections of correspondence and papers of British artists are held by foreign institutions, especially those in America. Foremost among these are the Huntington Library, California, and the Houghton Library, Harvard University, Massachusetts. The Find an archive tool includes a list of overseas repositories holding collections relating to British history. 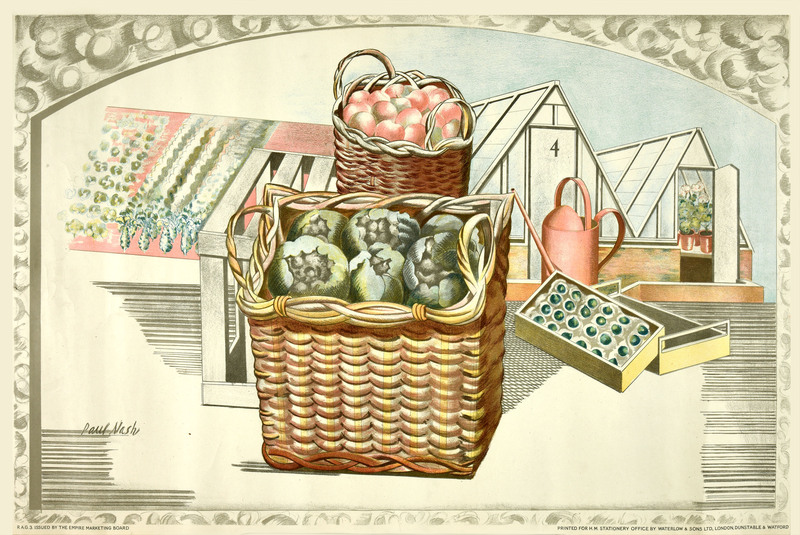 Local record offices also hold collections relating to art and artists, including family papers of art collectors and patrons, records relating to an artist’s personal background and the papers of local art societies and art clubs. Addresses and contact details for local record offices in the UK are available via the Find an archive tool. Many art colleges hold their own records which contain rich information on art education over the last 150 years. These records are likely to include governors’ minute books, letter books, registers of students, prospectuses and annual reports. Some colleges (such as Edinburgh College of Art) have their own facilities for accommodating researchers; others have deposited their records in local or national institutions. The principal biographical reference works for artists are the international works by Ulrich Thieme and Felix Becker (edited by Hans Vollmer), Allgemeines Lexikon der bildenden Kunstler von der Antike bis zur Gegenwart (37 vols, 1965-1966), and Emmanuel Benezit, Dictionnaire critique et documentaire des peintres, sculpteurs, dessinateurs et graveurs de tous les temps et de tous les pays par un groupe d’ecrivains specialistes francais et etrangers (10 volumes, 1976). There is no single English language work comparable. The largest art and artists dictionary in English is Jane Turner (ed), The dictionary of art (34 volumes, 1996).